Viridor is one of the UK’s leading recycling, renewable energy and waste management companies. Putting waste into action, Viridor transforms it into high quality recyclables, raw materials and energy. Viridor’s Oldham site was already operating to a high standard, however they recognised that there was opportunity to improve reliability. The aim for the site was to streamline and enhance existing processes in order to achieve a corresponding reduction in operating costs. We have worked along side the team at Viridor to implement an IMPACT Masterclass at the Oldham site. By standardising and streamlining existing processes, the site has benefited from a significant increase in efficiency and operating performance. The teams have become more integrated and are developing new skills to change and improve their workplace. The Masterclass has developed a team of process experts who will take ownership of the strategy and continue to deploy the techniques, thus underpinning its long-term sustainability. From the team’s perspective, individuals have been given the opportunity to develop new skills and competences culminating in the achievement of a Lean RCM Practitioner Qualification (Level 2) with Lean RCM Facilitators (Level 3) in progress. By introducing this qualification, Viridor has proven its dedication to the development of its employees and the future of the company. 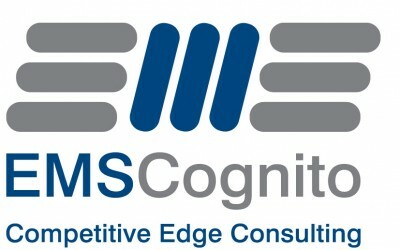 ‘The EMS Cognito IMPACT Masterclass® pilot at Viridor has been a great success. Lean thinking enabled us to reduce our maintenance labour by 89% and the project as a whole resulted in a 6% increase of plant availability. Production and Engineering teams are now fully engaged and working alongside each other with one common goal, continuous improvement’.